Automate your competitor price tracking, competitor price monitoring, repricing and dropshipping with PriceMole Shopify. For a limited time get $30 off when you sign up or upgrade to a paid plan. 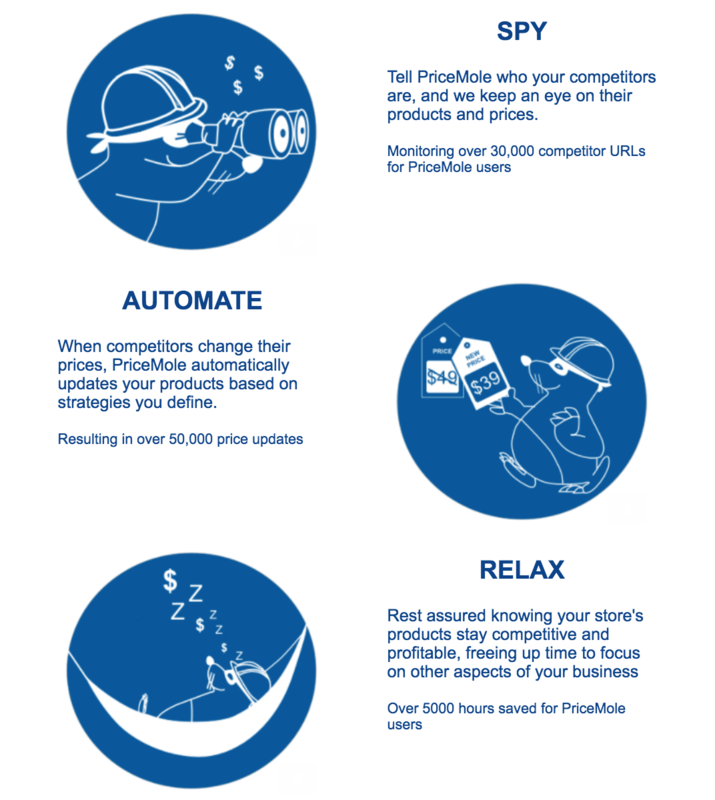 With an automated solution like PriceMole, you save all of those man-hours and ensure that consumers always check your site for most best competitive prices available. Start comeptitor price monitoring today! Get started and reach your eCommerce goals today!